Area: Metaxourgio. 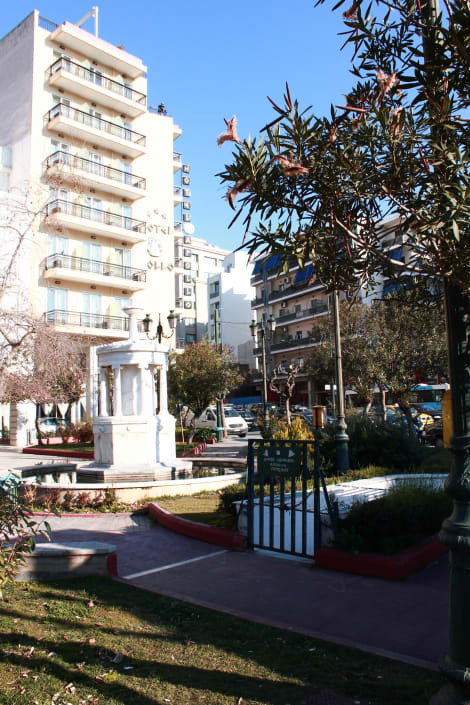 Located on the pedestrian street of the Karaiskaki square, next to the subway station Metaxourghio and near the International railway station. Our hotel is a beautiful neoclassical building entirely restored. Rooms are equipped with Air-conditioning, private bath or shower, satellite TV, mini bar, hairdryer and direct dial telephone with as size of 15 sqm. The hotel is walking distance from the Acropolis, the Parthenon, the old town Plaka, Psiri and Gazi. The restaurant and bar on the ground floor is the ideal place to relax and enjoy drinks, food and pleasant music. It serves many kinds of drinks and Greek specialities until well after midnight. 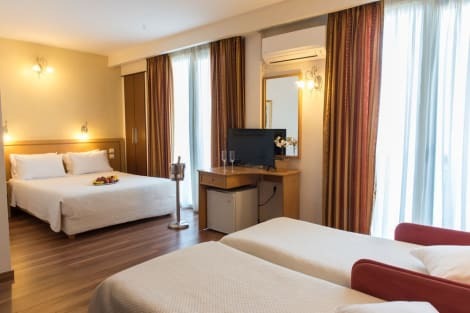 A 3-star hotel located close to Metaxourgio Metro station and within walking distance to the Acropolis, the Apollo Hotel is a convenient and affordable base for visiting Athens. The practical rooms come with free wi-fi access, LCD TVs and air conditioning as well as private bathrooms. Staff at the 24-hour reception can help when it comes to booking tours and shows, and after a day spent exploring the city guests can return to a cool drink at the hotel bar and satellite TV lounge. 3 Keramikou & Zinonos Str. Make yourself at home in one of the 55 air-conditioned rooms featuring flat-screen televisions. Rooms have private balconies. Cable television is provided for your entertainment. Bathrooms have bathtubs or showers and complimentary toiletries. This smoke-free apartment offers discounted parking nearby.